Holly is hosting a giveaway today, so that's even more a reason you should visit her! I hope you're having a marvelous Monday! I'll admit that sometimes I dread Mondays, but then I remind myself that Mondays can be a great clean slate if I want it to be. Hmmm... let's see. Be in grumpy mood or tackle the day and make it awesome? Yeah, I choose the latter. Today, I'm excited to introduce you to another great woman and newlywed who I've "met" through blogging this month, Holly @ Eight Six Eleven! Isn't her family simply precious?! Hi there, I'm Holly and I blog over at Eight Six Eleven [www.8six11.com]. I started blogging in August, 2011, shorty after marrying the man of my dreams, who lucky for me also happens to be my best friend. We tied the knot on August 6, 2011 [hence the blog name]. I wanted a way to journal the many adventures we are sure to face as newlyweds. These include renovating and decorating our new home, spending time [and way to much money] on our two spoiled babies, who come with four legs and covered in fur and rambling on about our all too uneventful weekends. You will also find me writing posts about cupcakes and baking, sharing numerous photos as a photographer in the making and just plain loving life! A special thanks to Lindsay for featuring me on her blog today! Hope you get a chance to stop by and say hello! 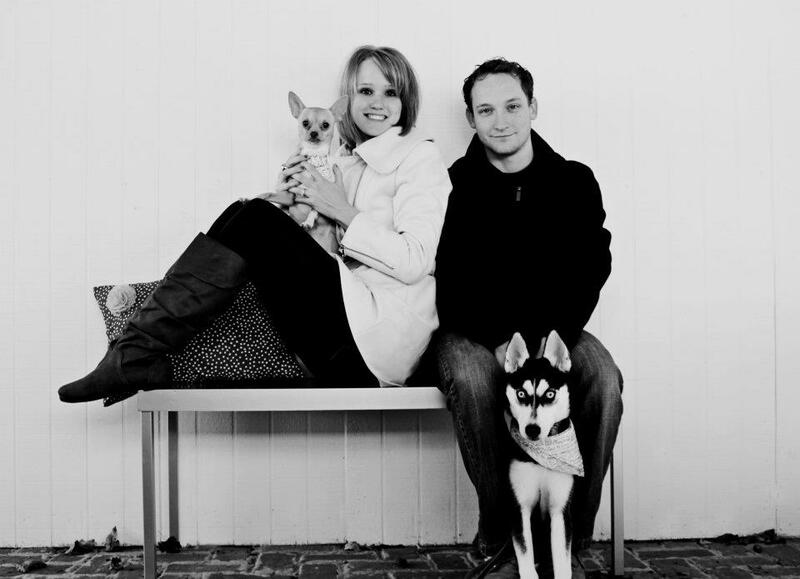 Please stop by Eight Six Eleven, and check out her precious pups and newlywed adventures! Thanks soo much for featuring my blog (and the giveaway) today! So thankful blogging has allowed me to get to know some pretty amazing people! I'm pretty convinced that my dogs & Holly's dogs would be BFF's, if ever they had the chance to meet.